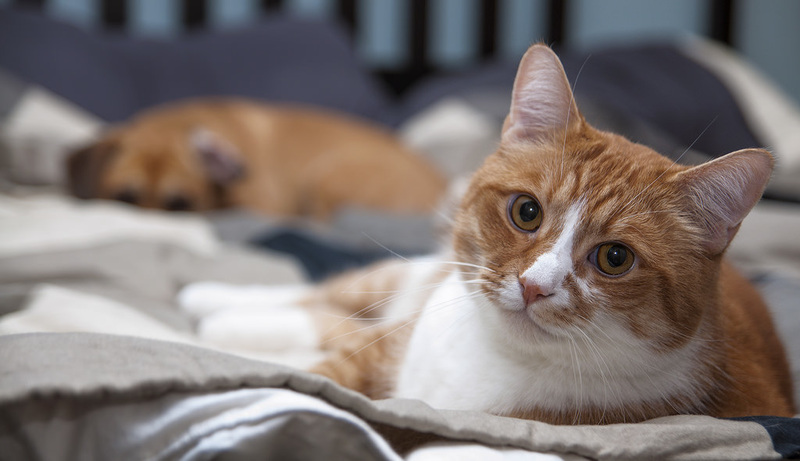 Our doctors are caring and sensitive to you and your pet's needs. They are constantly upgrading their skills and knowledge to provide you and your pet the best care possible. If you have any questions or would like to meet the doctors; please feel free to call the clinic or stop by and say hello. Matt has always wanted to work with animals, he started his journey as a teenager at Chinguacousy Animal Farm in Brampton. He was accepted into the Ontario Veterinary College in 1995 and graduated in 1999. He went on and practiced in mixed animals up north in Markdale and Midland area for 2 years, but his heart truly belonged to dogs and cats. Matt went on to work in a small animal practice in Mississauga; but being in love with the Guelph area he really wanted to move his career in this direction. 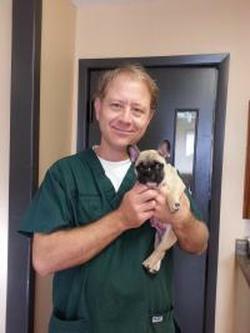 He was very fortunate to meet Dr. Jeff Cubitt, who was looking for a full-time veterinarian in 2006. Within 3 years, Matt moved into ownership of the practice as Jeff was hoping to slow down and spend more time with his family. Matt couldn’t have bought a better practice with fabulous clients and one of the most genuine, caring veterinarians he had ever met. Dr. Shany has a very keen interest in Surgery and dentistry. He also very much enjoys talking to clients and helping them take care of their family friends. He does have a very special spot for kittens and being very much a cat lover. Over the years he has rescued a number of stray or injured cats and provided them with a loving home. Currently he has a beautiful Devon Rex named "Ozzy" and a handsome French bulldog named "Beau". Outside of work Matt has a very busy family life with wife Lesley and 2 children Alyssa and Parker. Dr. Shany is an avid hockey player and also enjoys mountain biking, camping, golfing and hiking with his family. Dr. Christiane graduated from the Ontario Veterinary College in April 2014 and joined the Westmount Animal Hospital team in 2017. She is compassionate and dedicated to being an advocate for all pets and does her very best to improve the quality of their life. She has a keen interest in surgery, emergency medicine, pain management, nutrition, behavior, and integrative medicine (acupuncture, chiropractic and rehabilitation). She became fascinated with animals at a very young age. Her childhood dogs inspired her to dedicate her career to helping animals. She began working at vet clinics during high school and her passion for veterinary medicine developed into a serious pursuit of animal care. Her passion for animals has inspired her to travel abroad for a variety of animal projects: Brisbane, Australia to work with endemic species in a private zoo, and to East Africa, to work with wildlife and companion animals, in addition to assisting with humanitarian projects in Kenya, Tanzania and Malawi. Dr. Christaine adopted an Australian Kelpie, Roxy, with whom she spends most of her free time with. She also loves spending time with her fiancé, Allan, and visiting with family and friends. She also has a passion for music, sports and travel. She is very grateful to be a part of this profession and honoured to dedicate her career to providing healthcare for your pets and looks forward to meeting all of our wonderful patients and clients.